Work. School. Friends. Family. Life is BUSY. We totally get it. But now, more than ever, it's increasingly important for us to show up in the voting booths in a powerful way and make our voices heard on the issues that matter to us. How can I make my vote count when I’ve got soooooo much to do? We’re so glad you asked!! Voting by mail is one of the easiest ways to get you ballot in on or before Election Day. Make sure you're registered to vote. After that, it’s as easy as 1, 2, 3. SKIP to step 3 if you're already signed up to vote by mail. 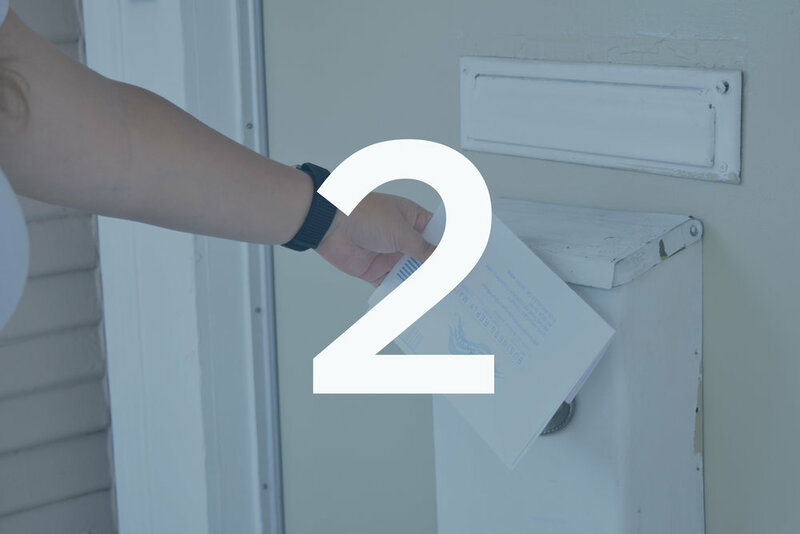 Once you receive your ballot, you'll need to complete and return it by mail to your local election office. Vote by mail ballots must be postmarked on or before November 6th and arrive @ your local election office no later than November 9th. Trouble mailing your ballot in time? You can drop it off at one of your county's ballot drop off boxes. Or, return it to your polling place on Election Day.